We are really happy to announce that we’re coming back to Haugesund – where you’ll find one of the absolute best metal crowds in the country – to put on a full show on the 31st of march! At this time we’ll be fresh off our upcoming European tour, so this will be one for the books! As always, we’ll be companied by the excellent Mindtech as special guests, so grab your tickets now and come to Flytten on the last friday of march! Kickstart 2017 with Triosphere in Oslo! December 15, 2016 / Comments Off on Kickstart 2017 with Triosphere in Oslo! 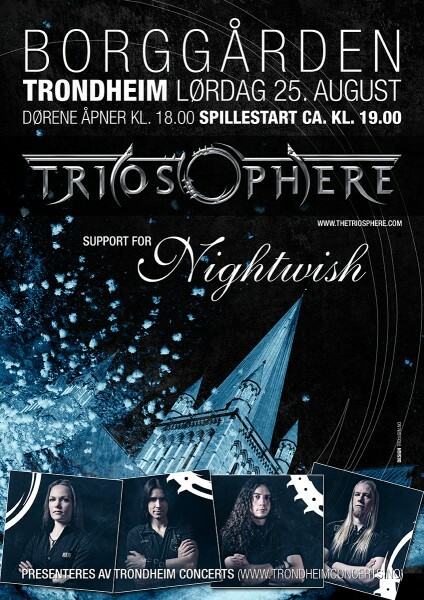 Triosphere to support Arch Enemy in Norway! May 23, 2014 / Comments Off on Triosphere to support Arch Enemy in Norway! 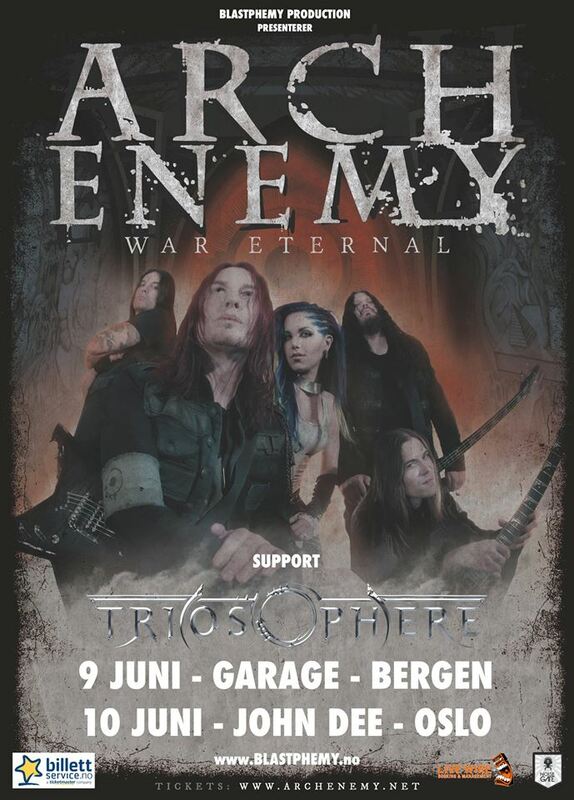 We are really happy and excited to announce that Triosphere will be sharing the stage with Arch Enemy in Bergen @ Garage on the 9th of june, and in Oslo @ John Dee on the 10th! This will be the “chaos legion’s” first norwegian performance since their new album “War Eternal” featuring their new leading lady Alissa White-Gluz, so don’t miss this!! 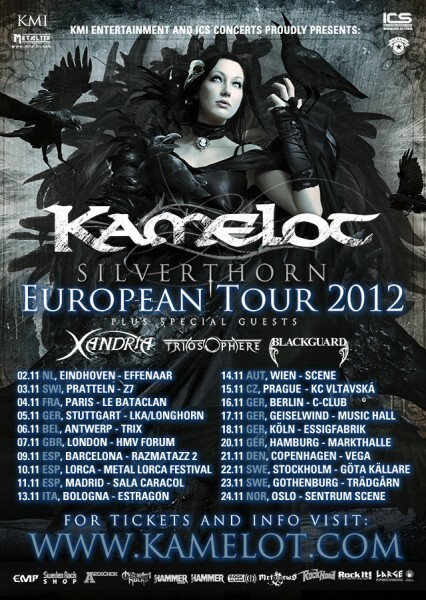 After working hard on the new material for a long time, it is with great joy that we can now announce that we will take a short break from the song writing to go visit our Spanish, Dutch, German, British, French, Swiss, Belgian, Italian, Austrian, Czech, Danish, Swedish and Norwegian friends together with Kamelot in November!! The line-up of this tour also consists of the excellent bands Xandria (GER) and Blackguard (CA), so don’t miss out on the chance to experience four bands at the top of their game on a stage near you! Great news for all the 5.000 metal fans that already purchased their tickets to the exclusive Nightwish concert in Trondheim! Triosphere has been confirmed to play support, and will open this great show for all the hungry ears. The doors open at 6.00 pm, and Triosphere will enter the stage approximately at 7-7.30 pm. Don’t miss the opening!